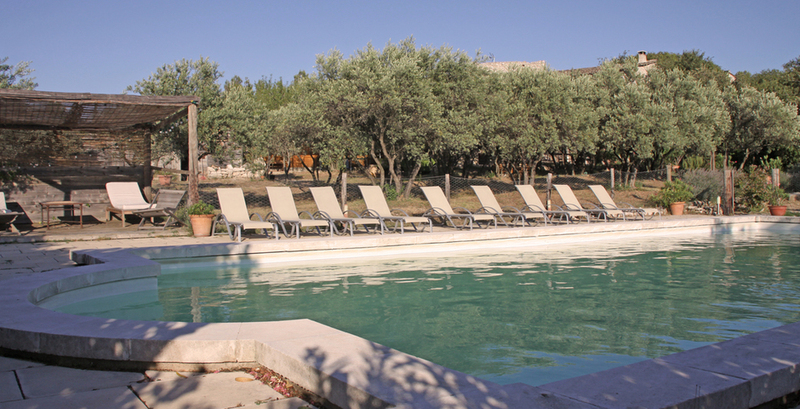 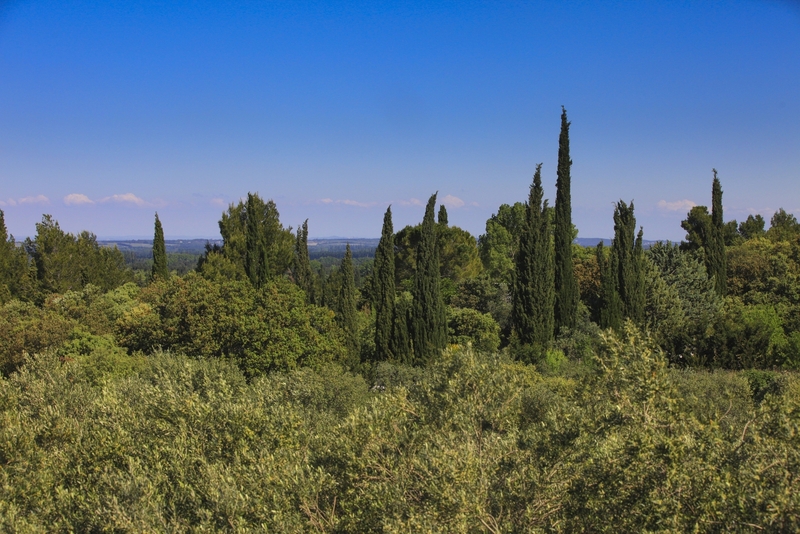 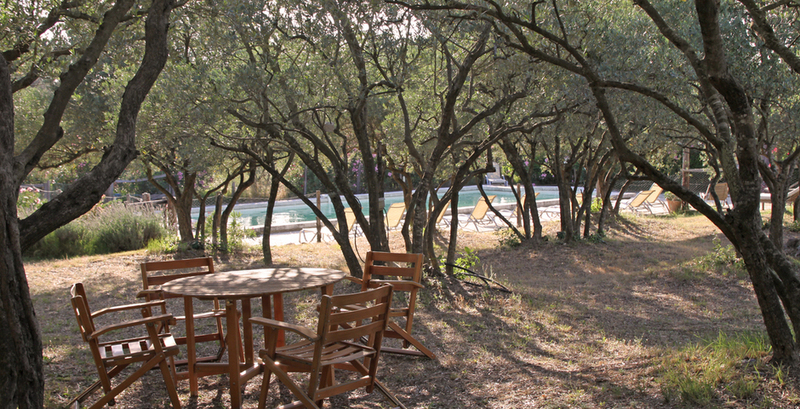 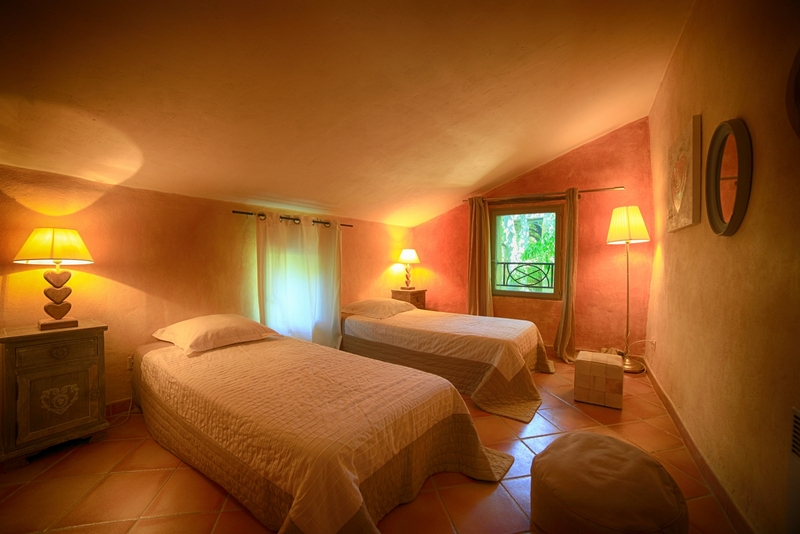 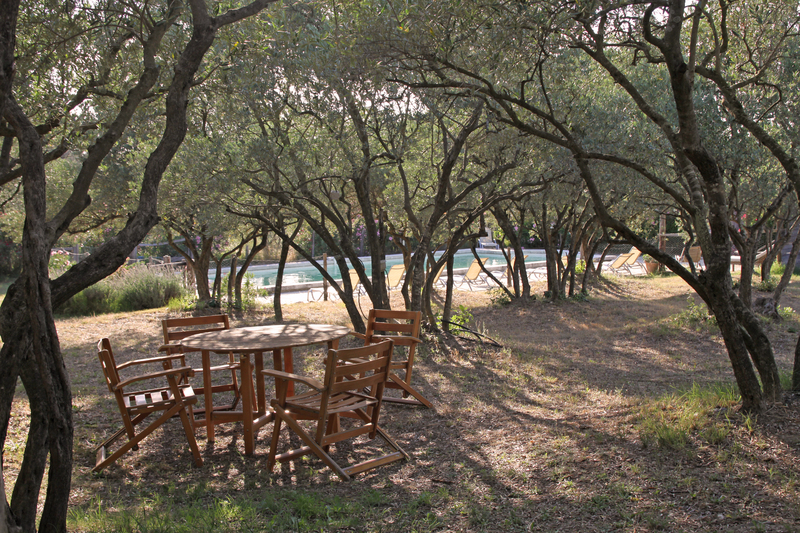 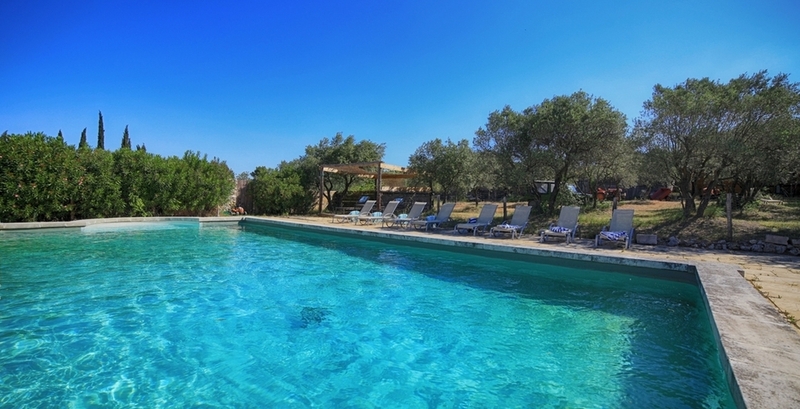 The Villa AuthenticSurrounded by the scrubland, a villa of the XVIIth century, which will conquer you, so much by its authenticity, that by its privileged location. 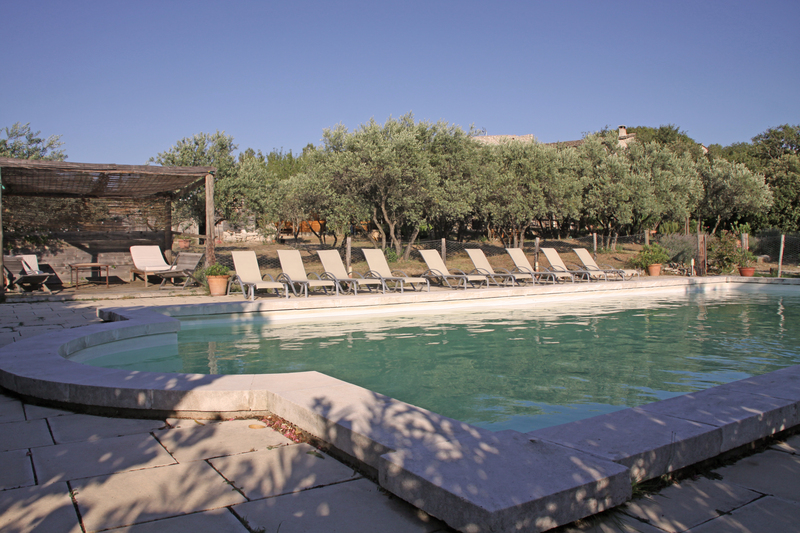 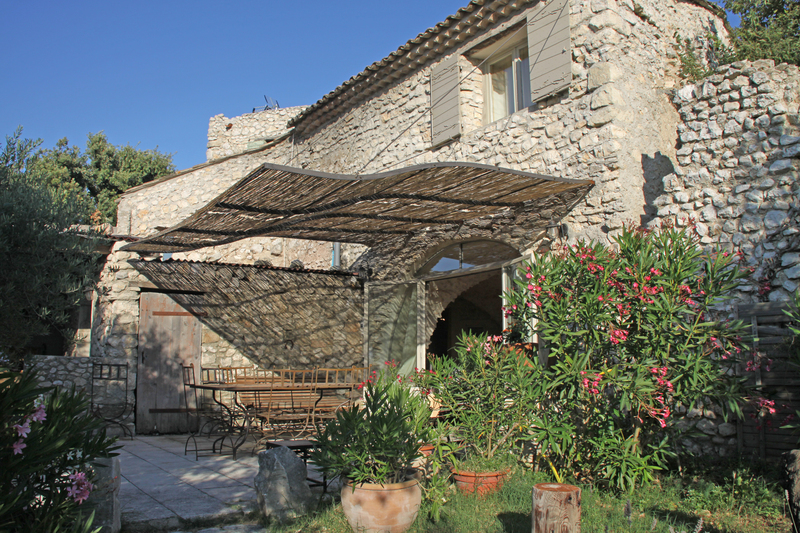 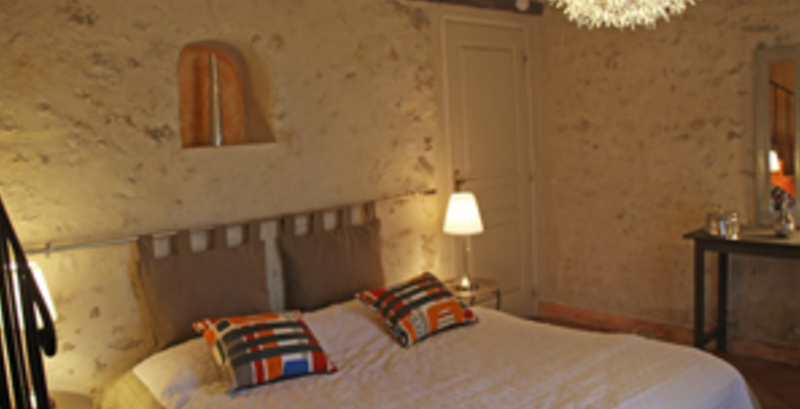 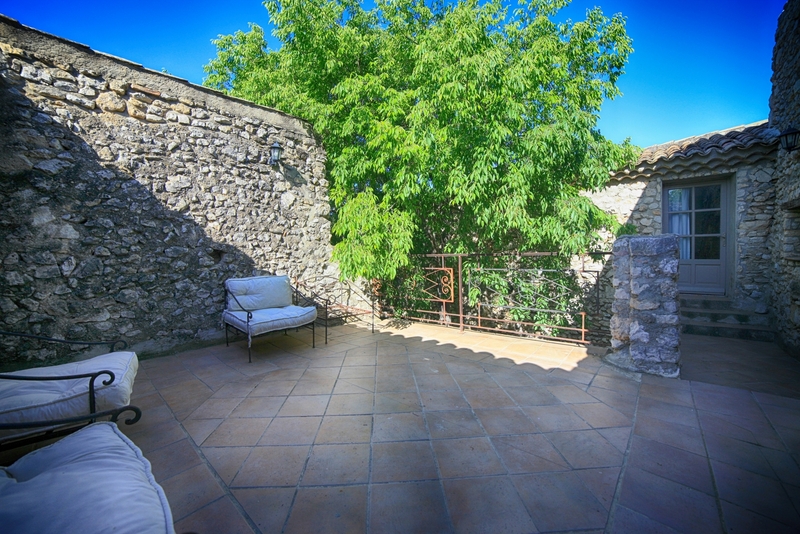 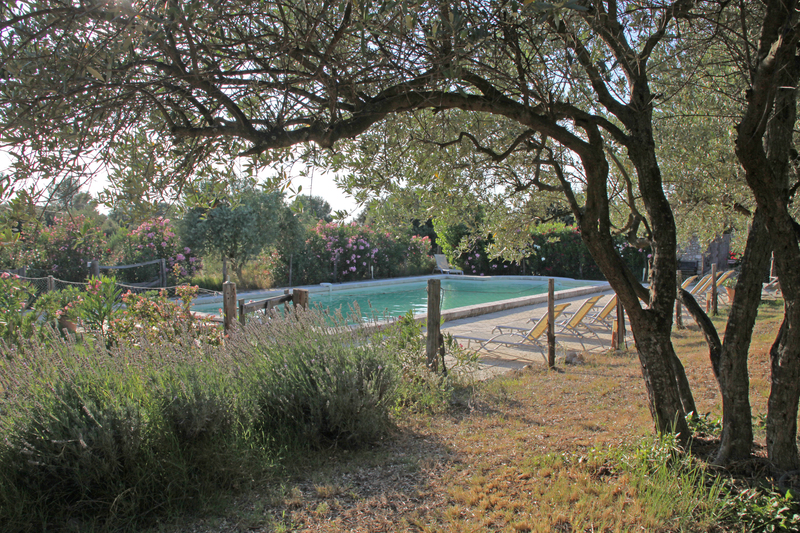 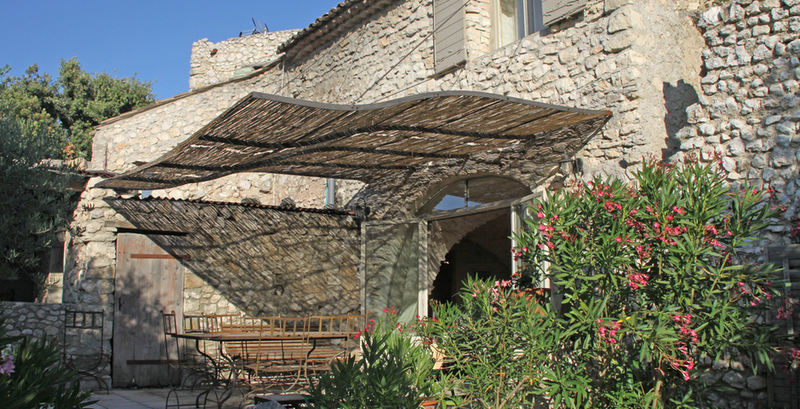 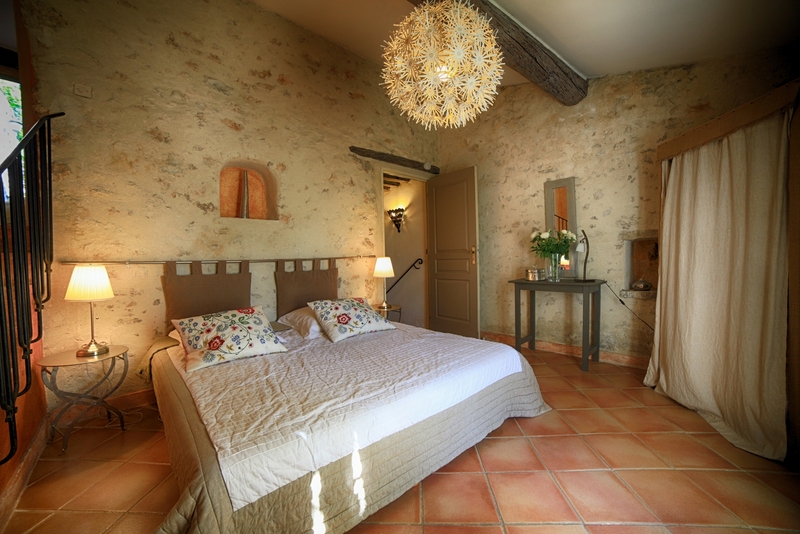 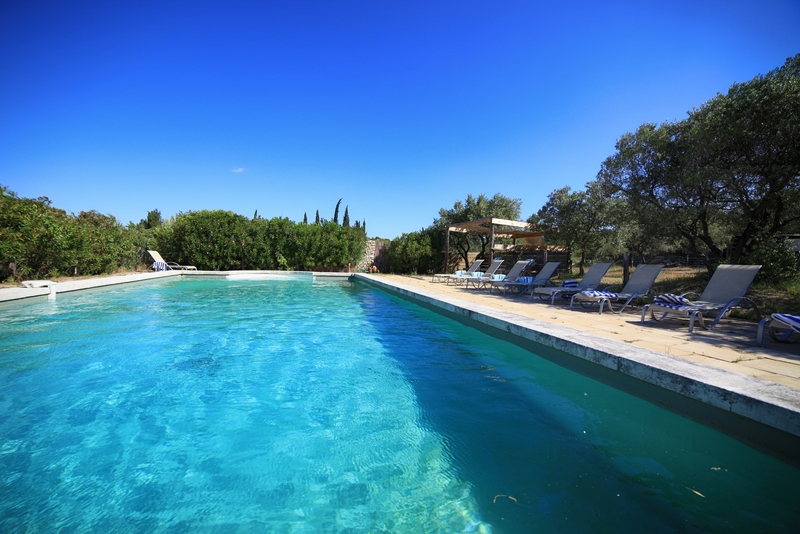 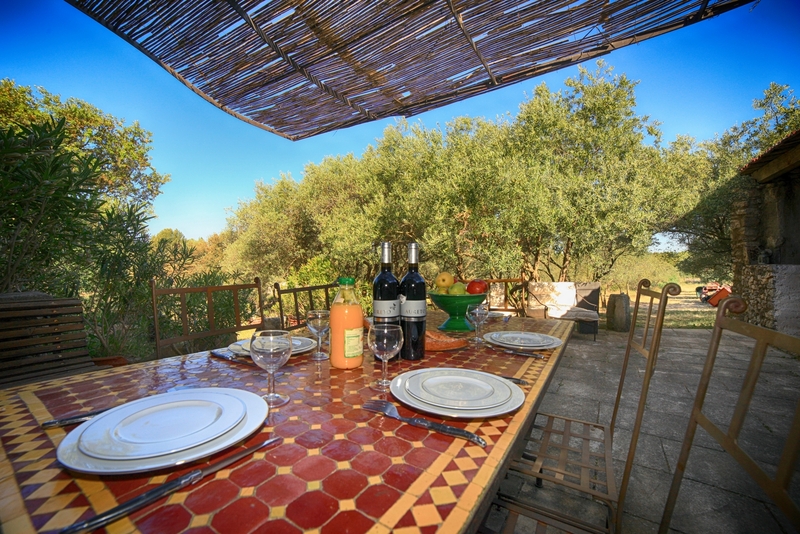 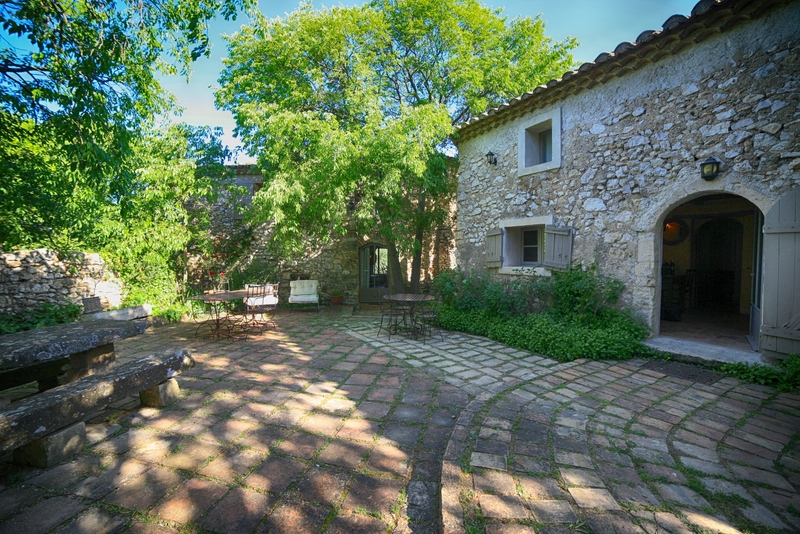 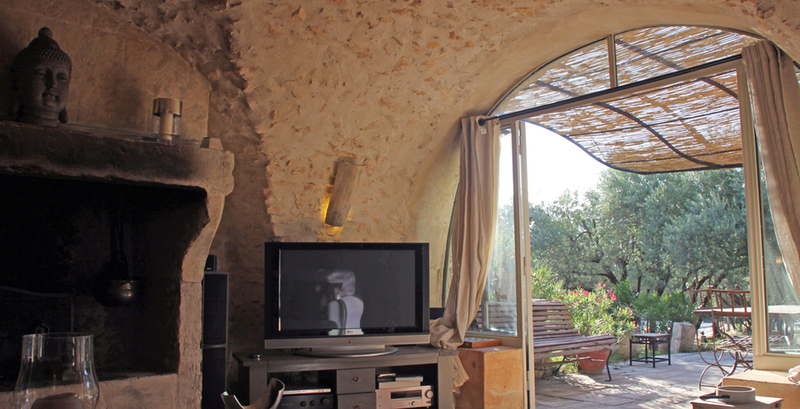 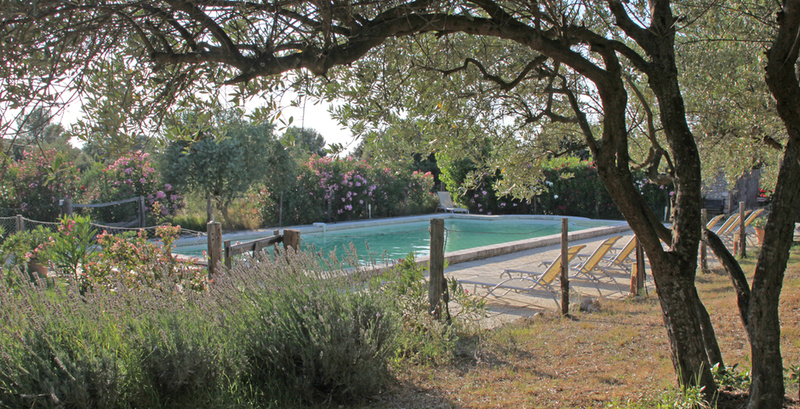 Located at the foot of Eygalières, 5 min walk through the scrubland to the village, this authentic farmhouse is a haven of peace. 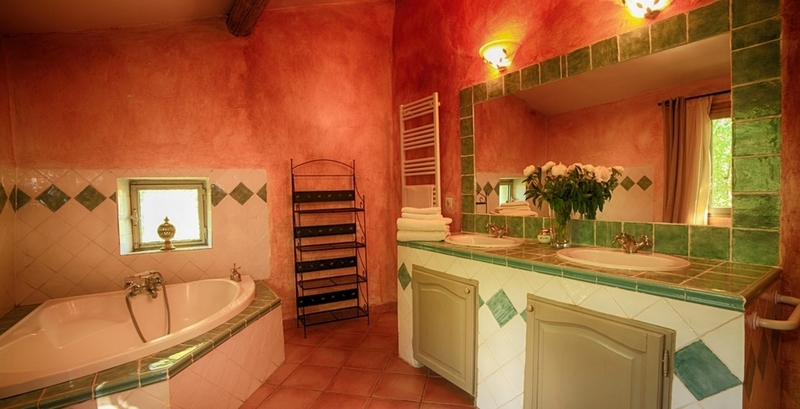 You will love the atmosphere it generates. 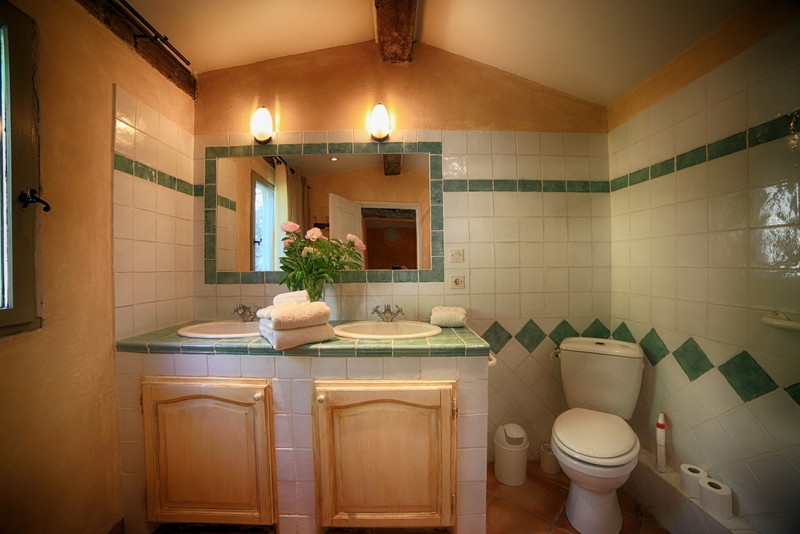 Level differences, interior arrangement and multiple openings will surprise and seduce you slowly . 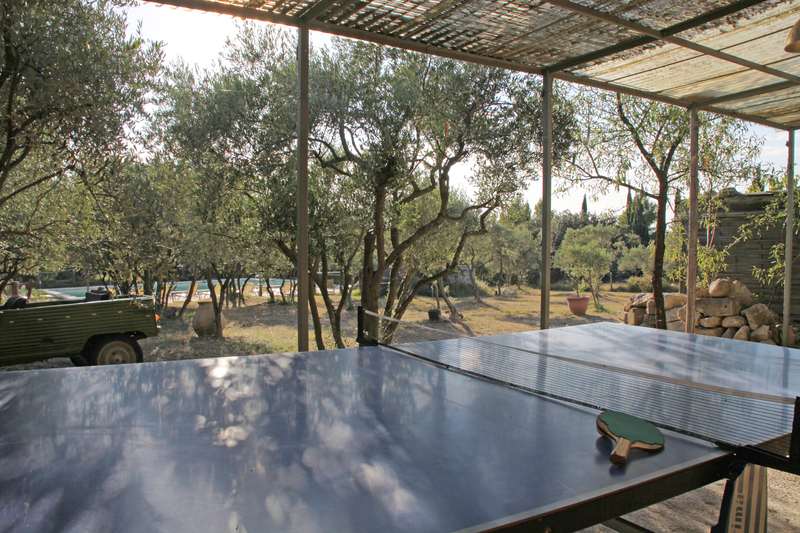 The house offers various spaces for a large family or for friends while maintaining the privacy of each. 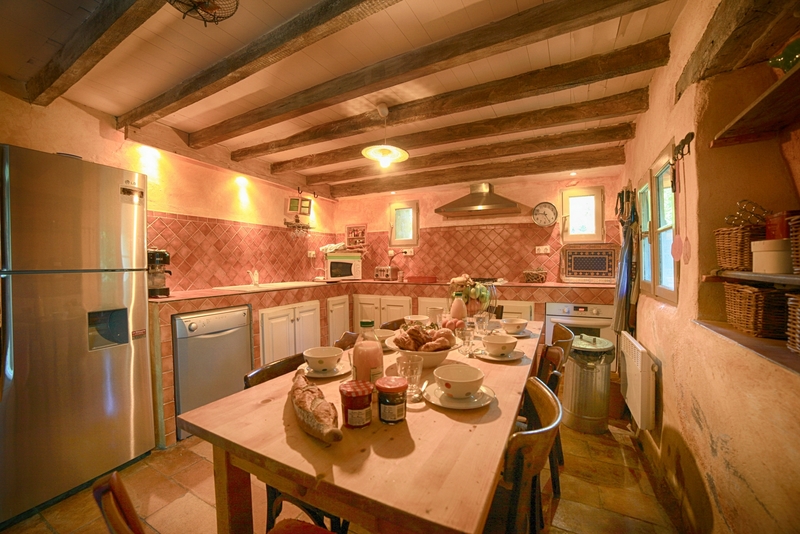 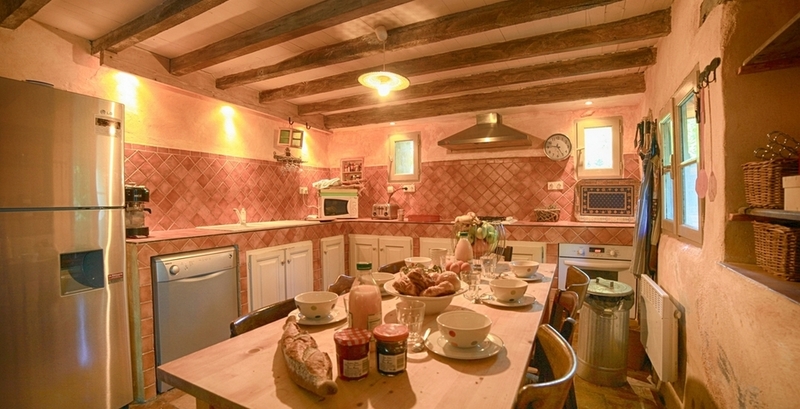 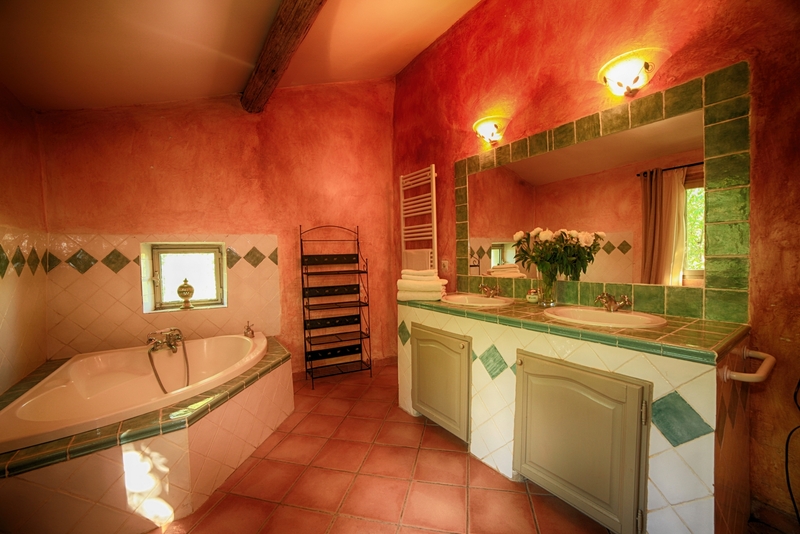 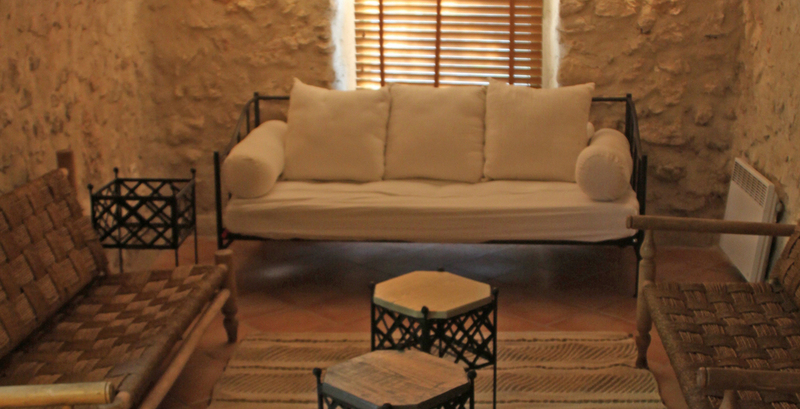 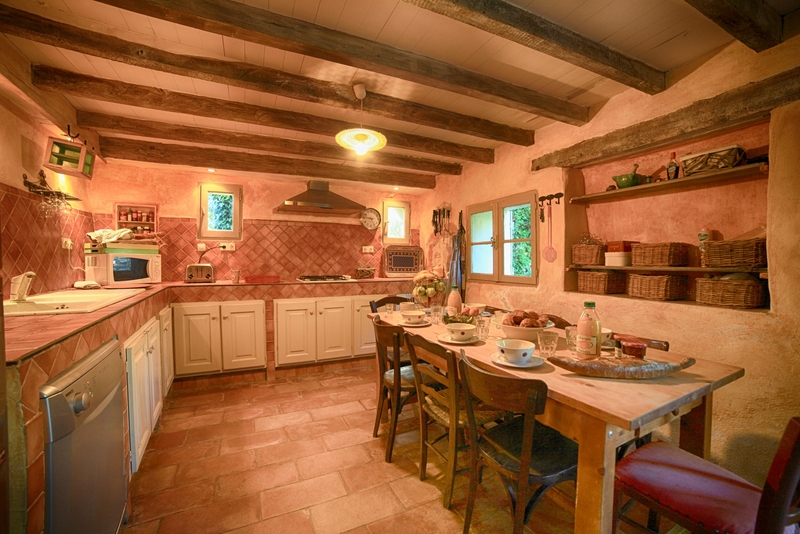 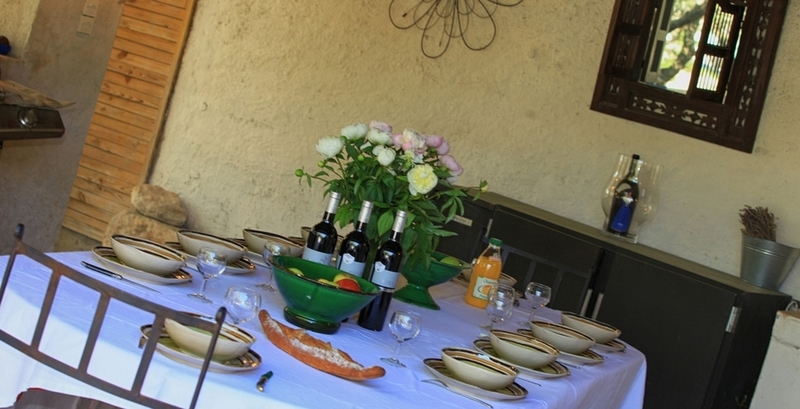 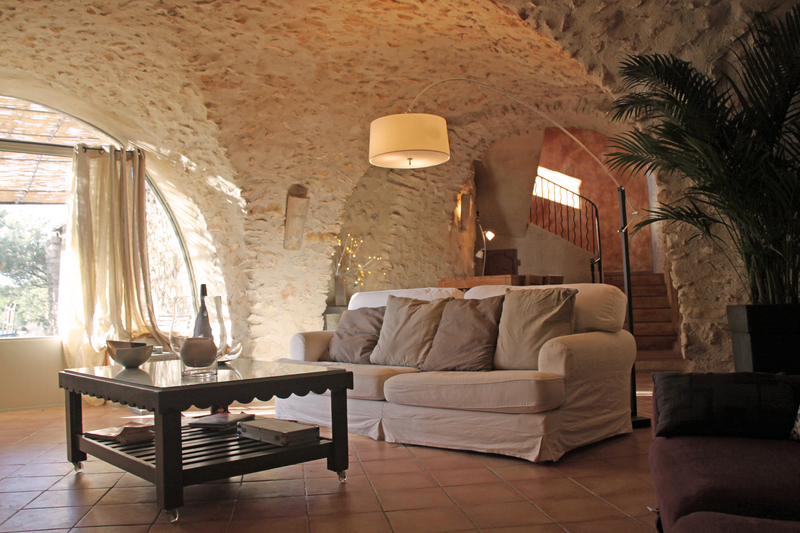 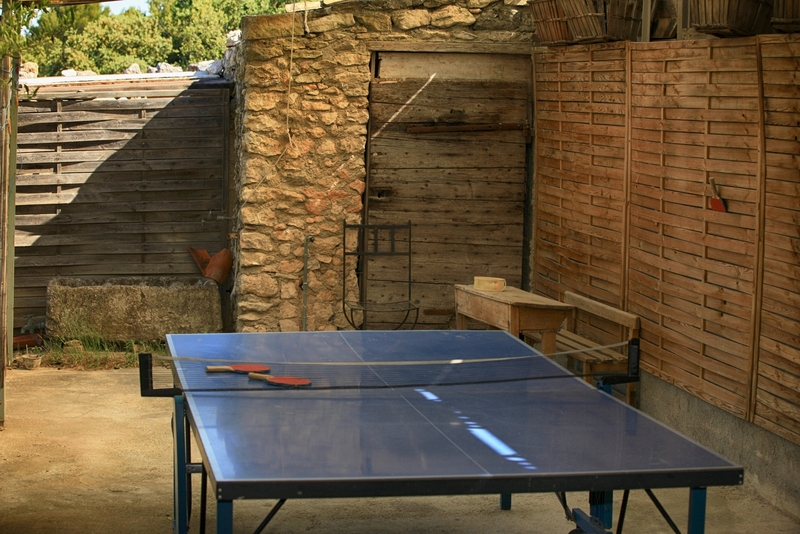 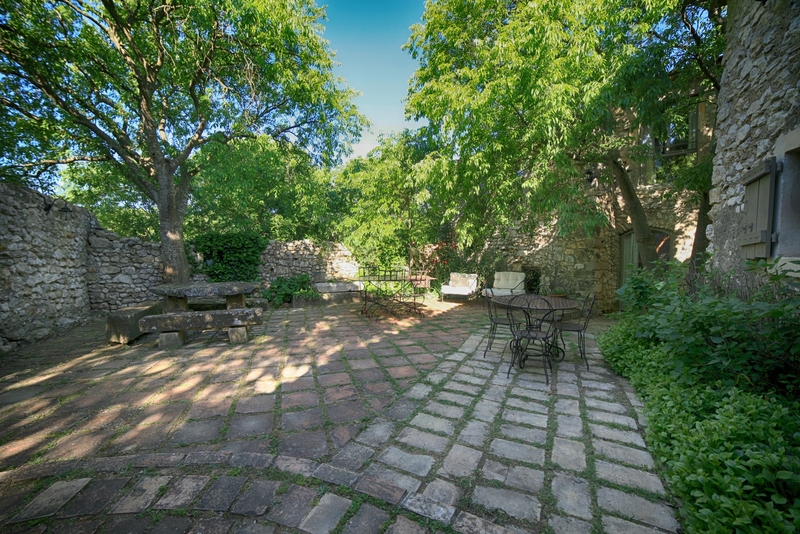 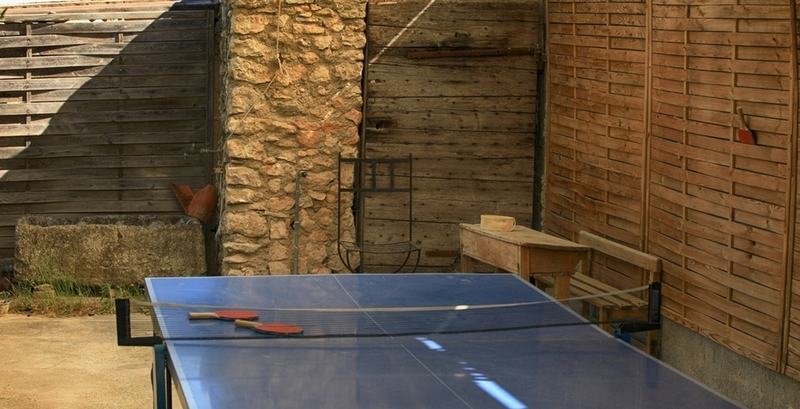 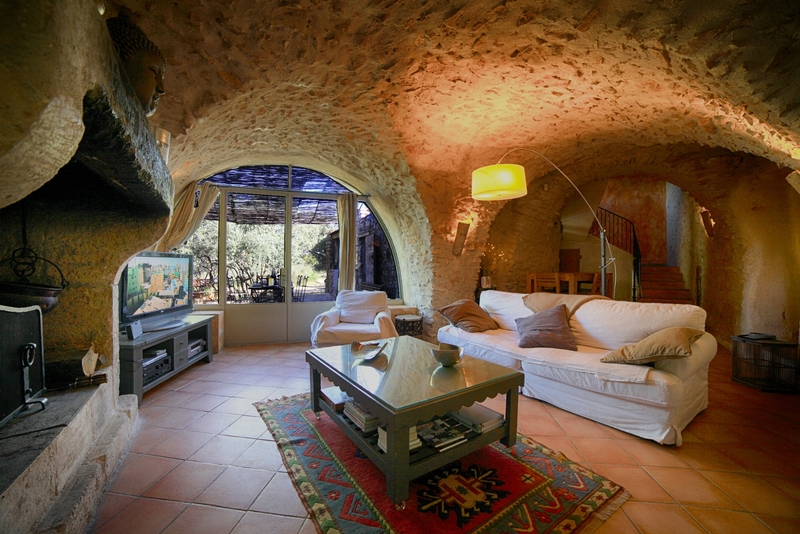 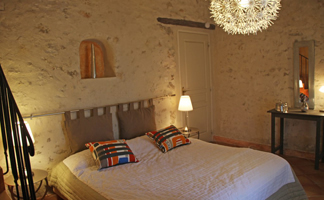 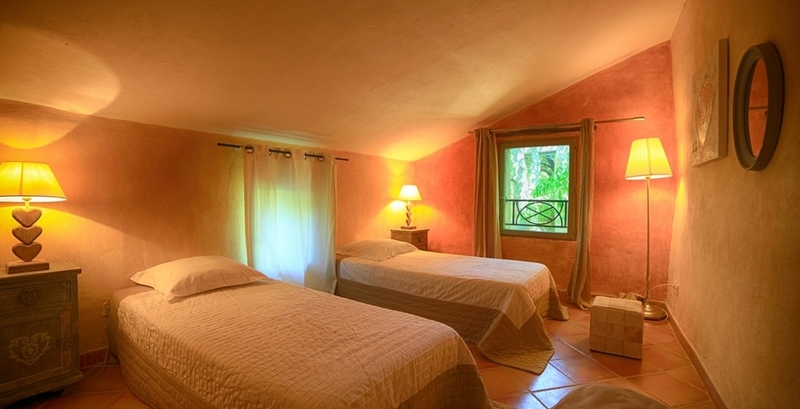 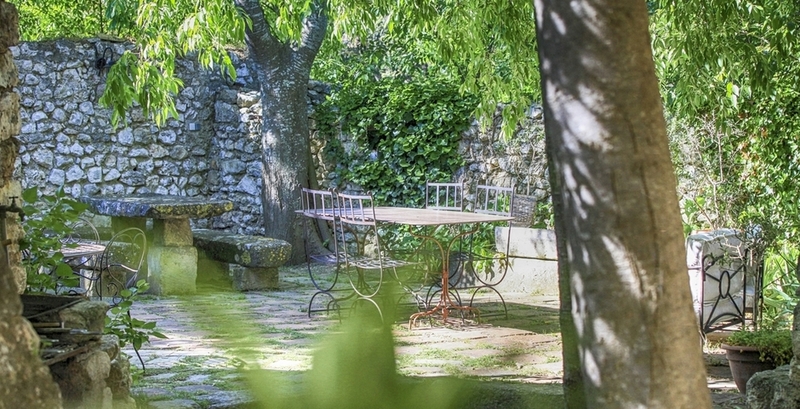 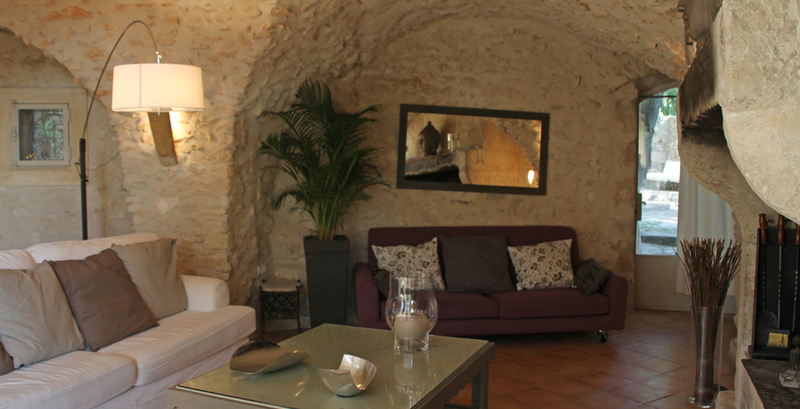 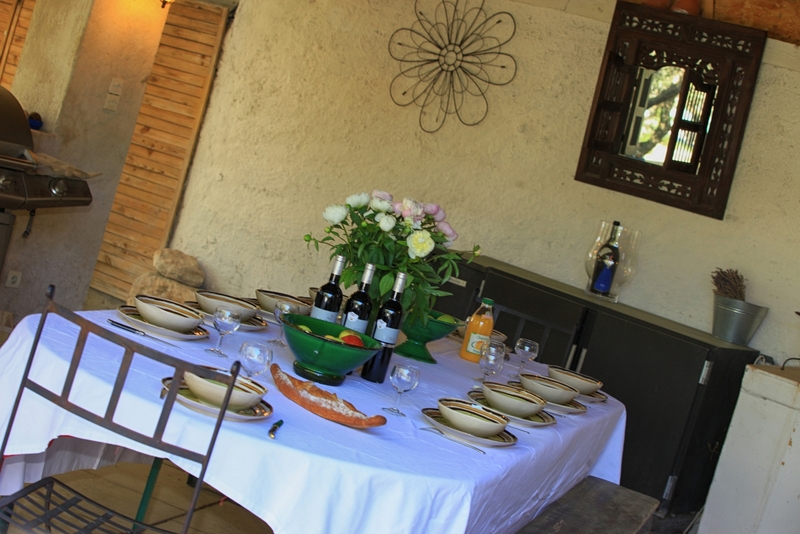 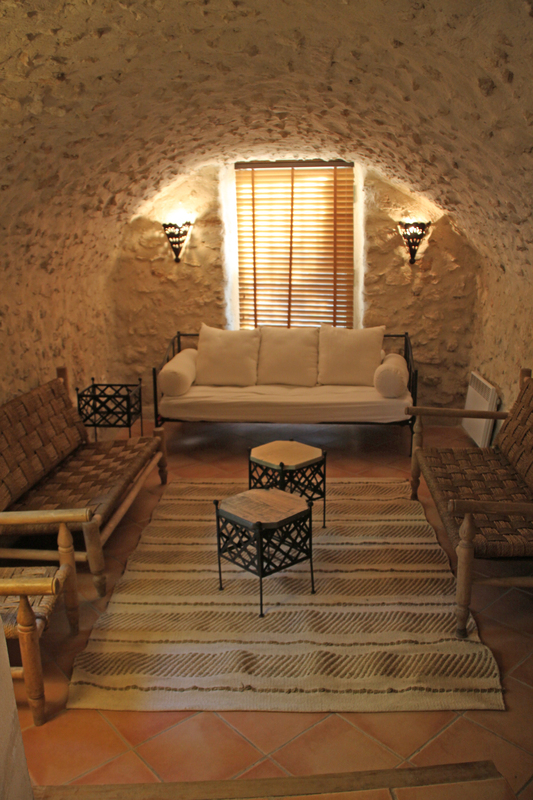 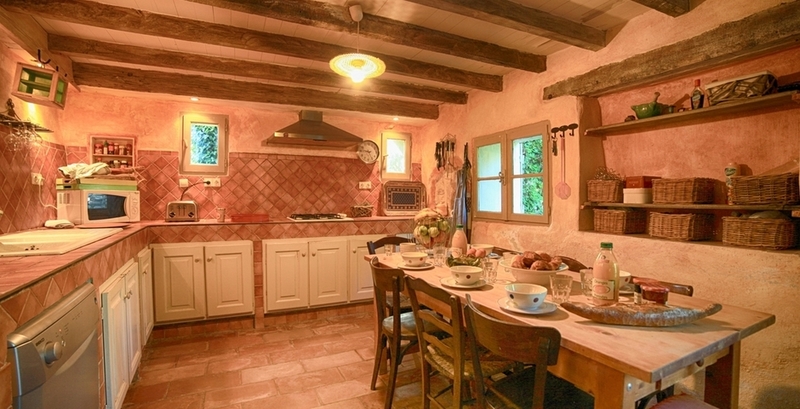 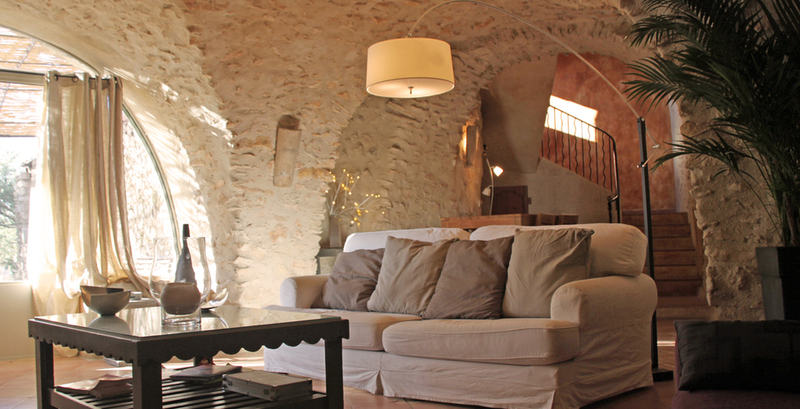 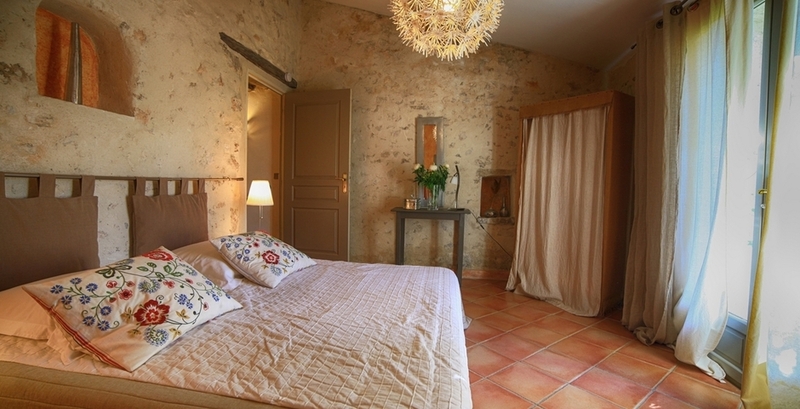 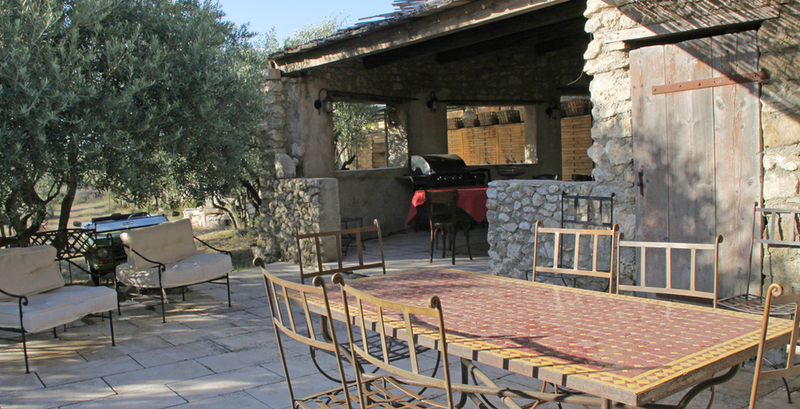 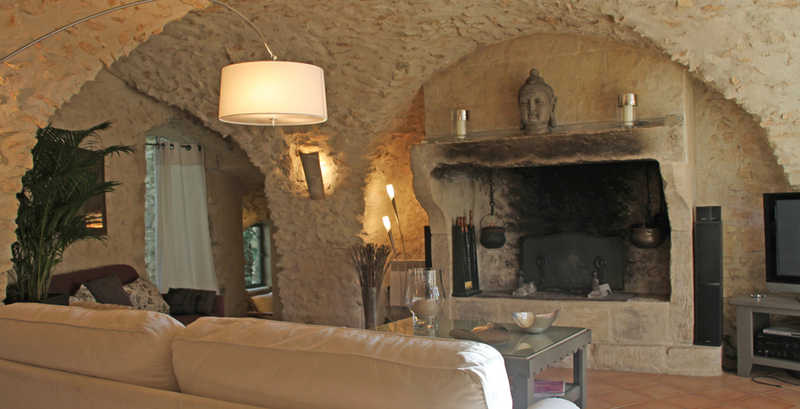 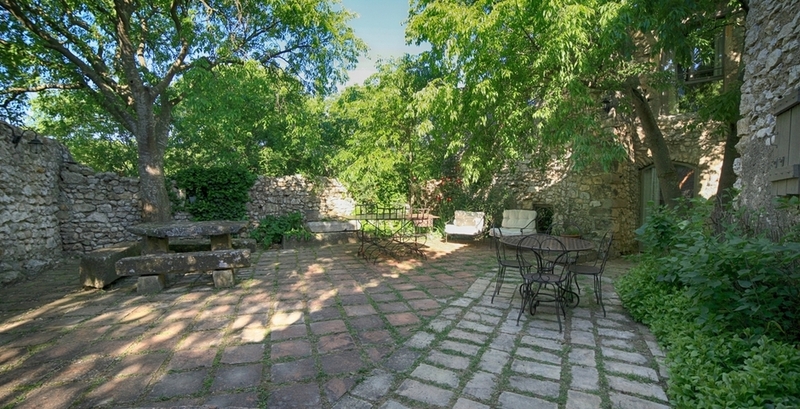 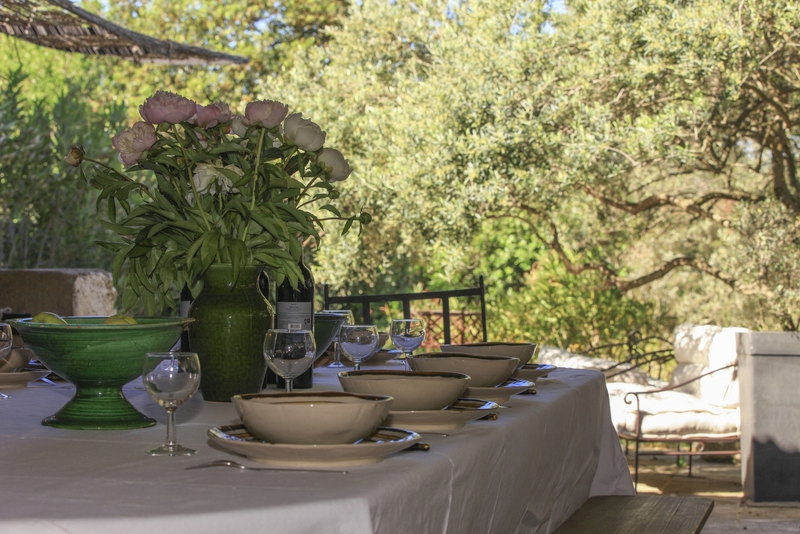 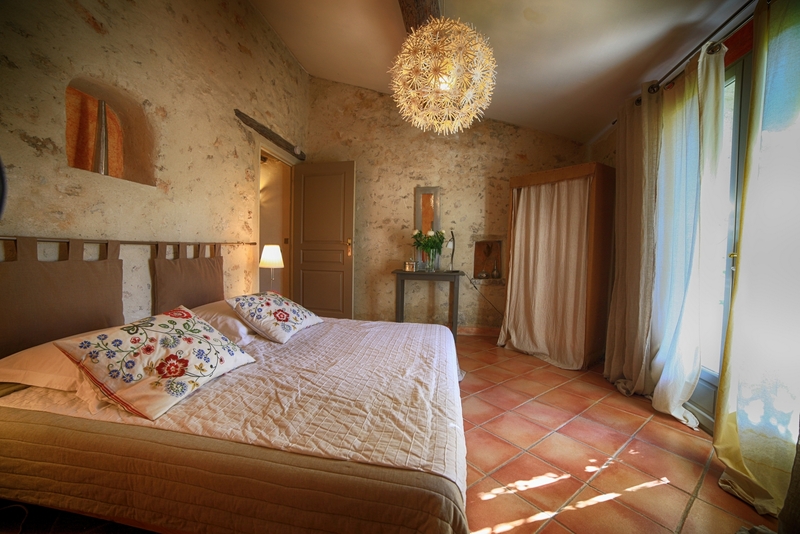 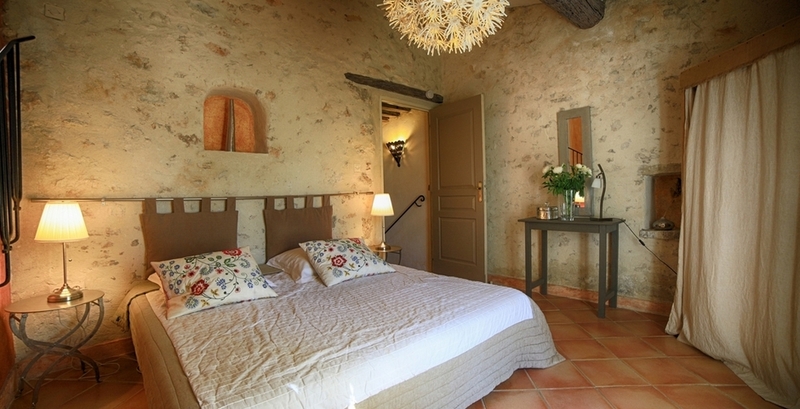 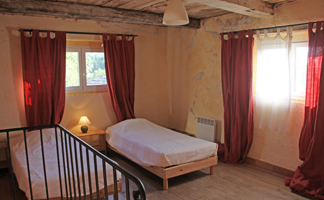 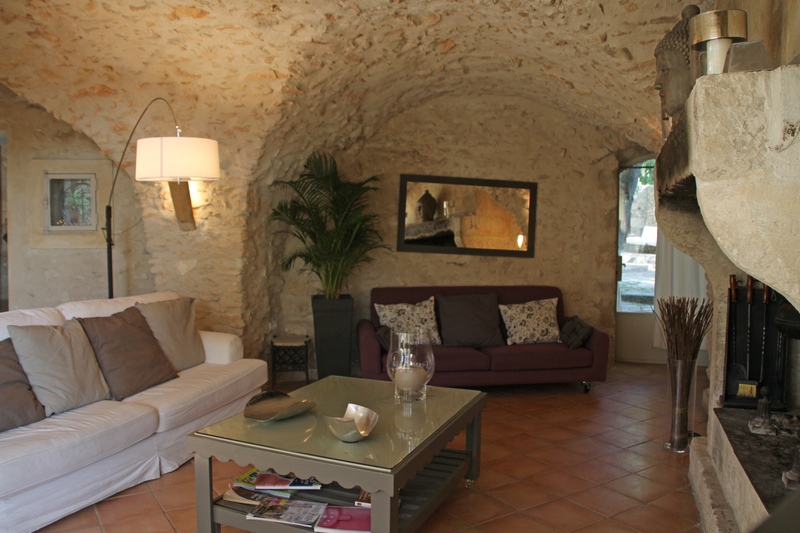 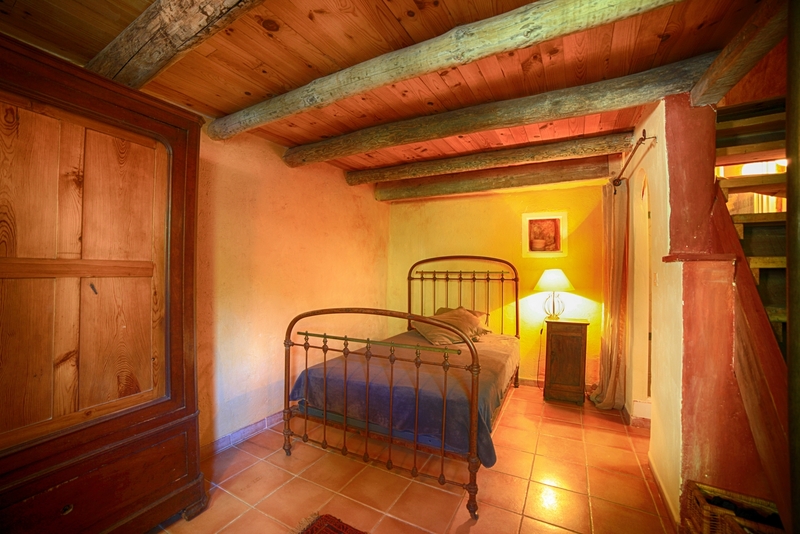 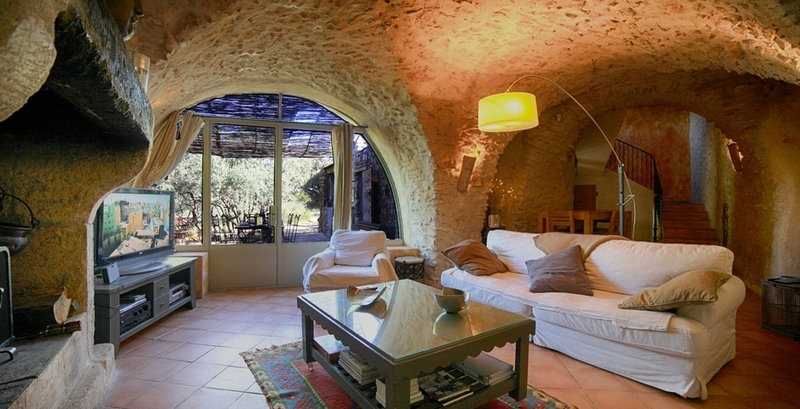 This farmhouse is much charming and can accomodate up to 14 guests. 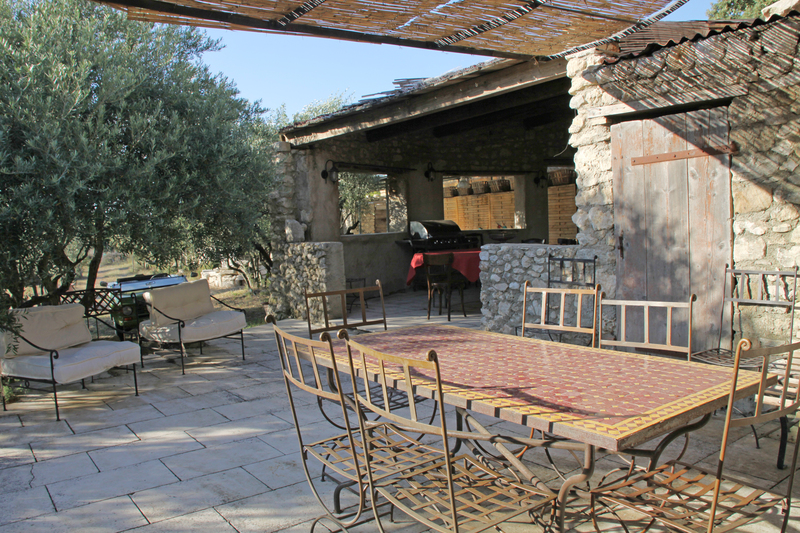 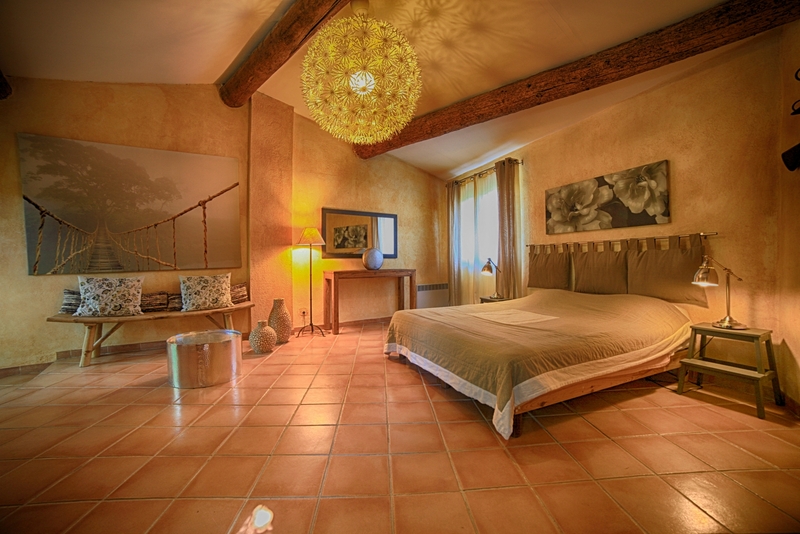 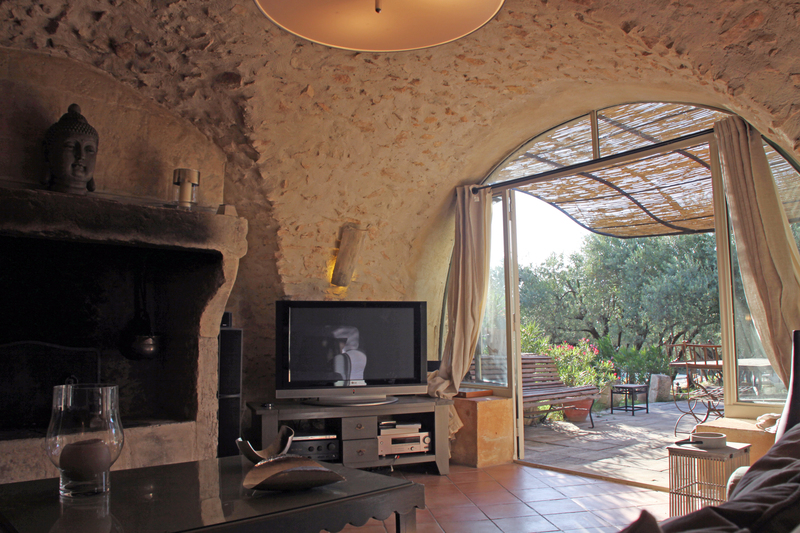 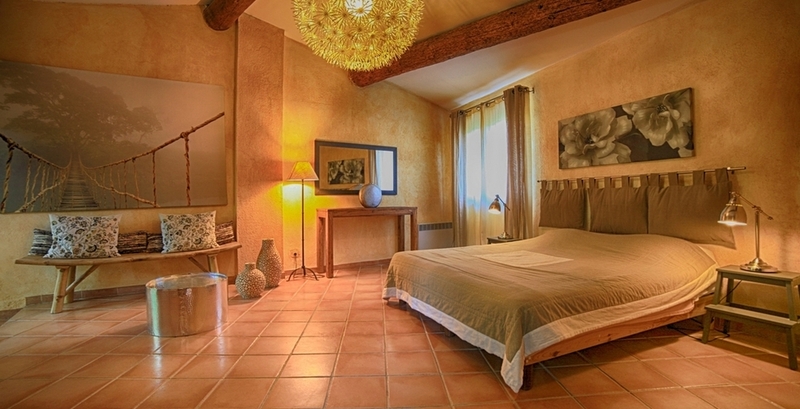 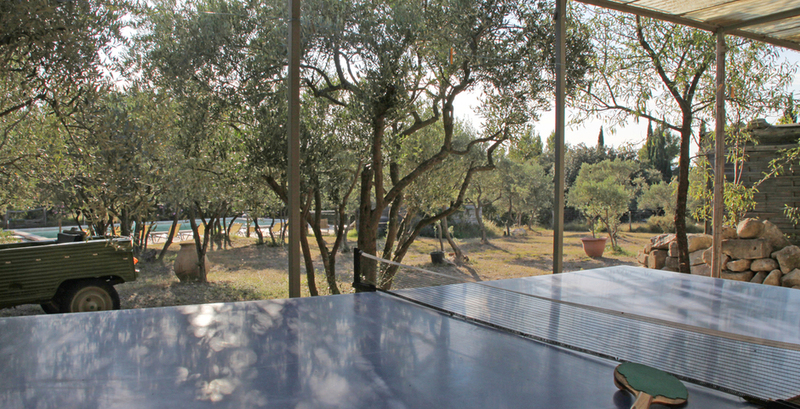 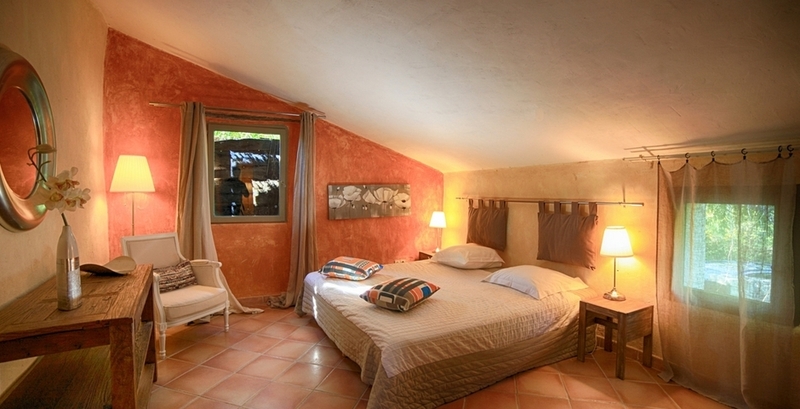 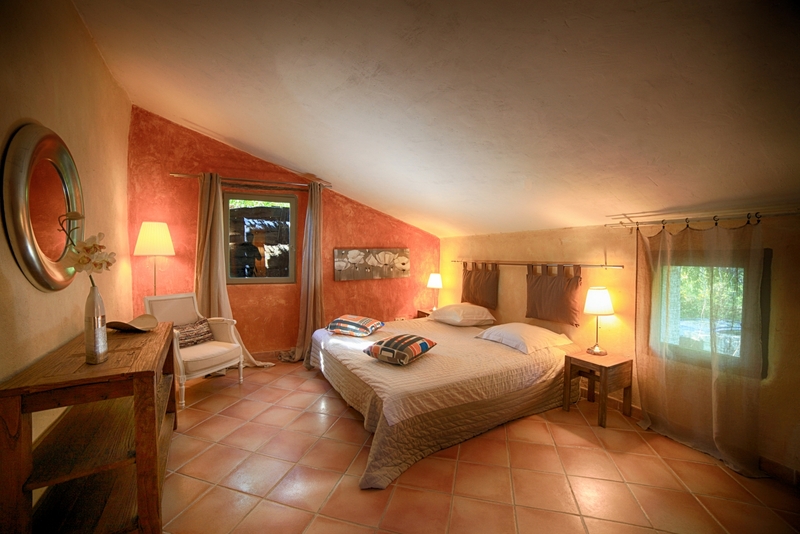 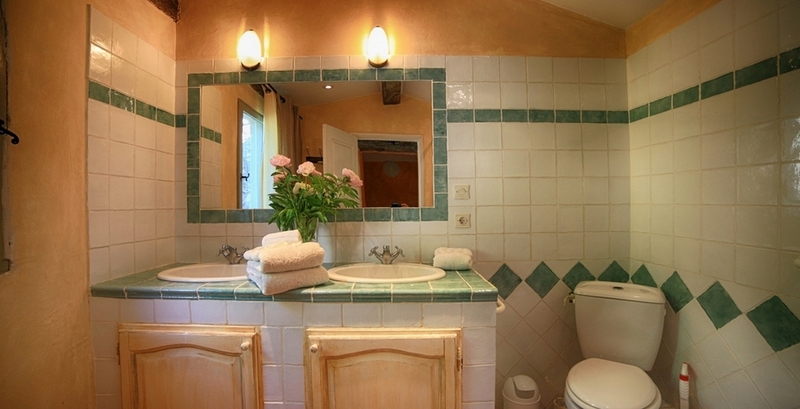 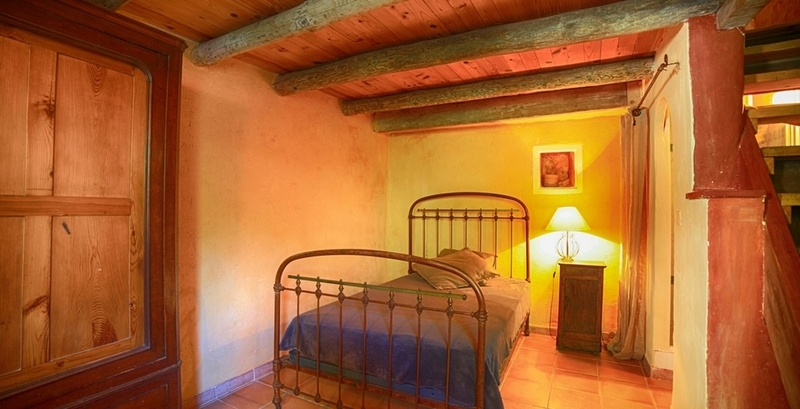 The real highlight of this villa is its location and its bucolic character . 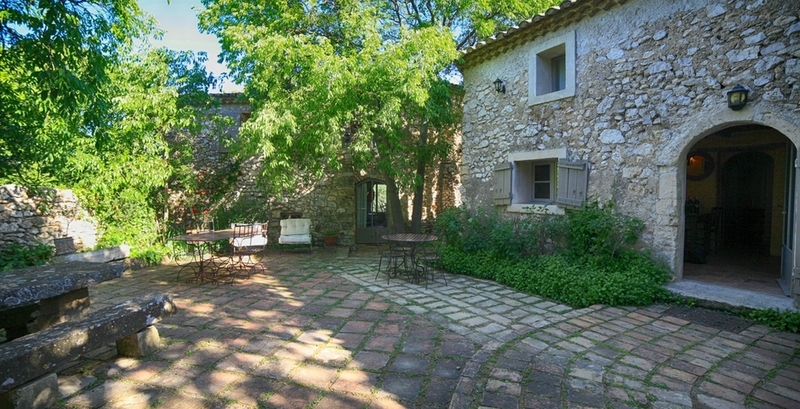 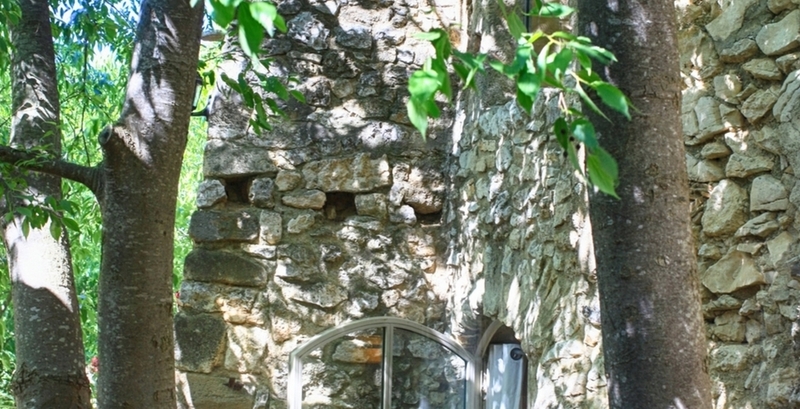 Not air conditioned but cool all summer thanks to its ancestral walls, the house is very nice as it is located in the countryside, but 2 steps from amenities. 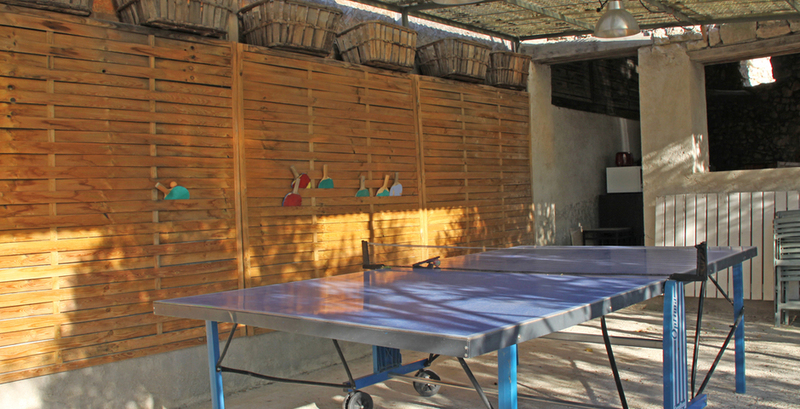 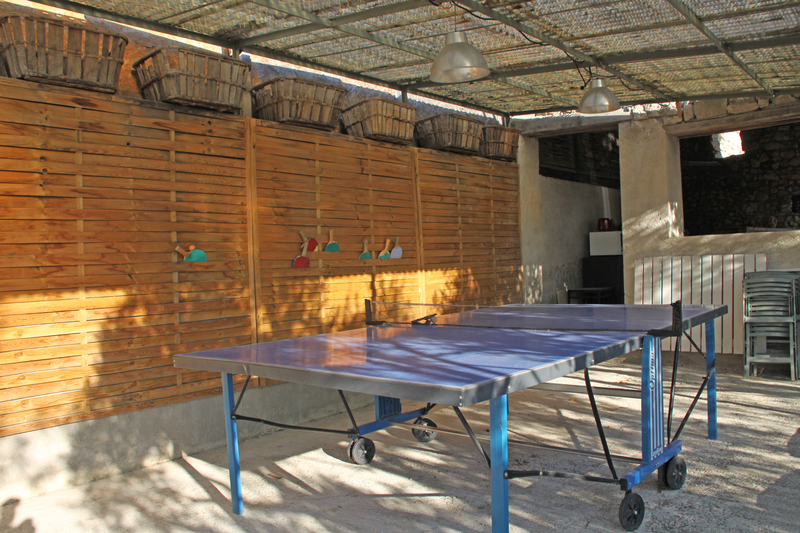 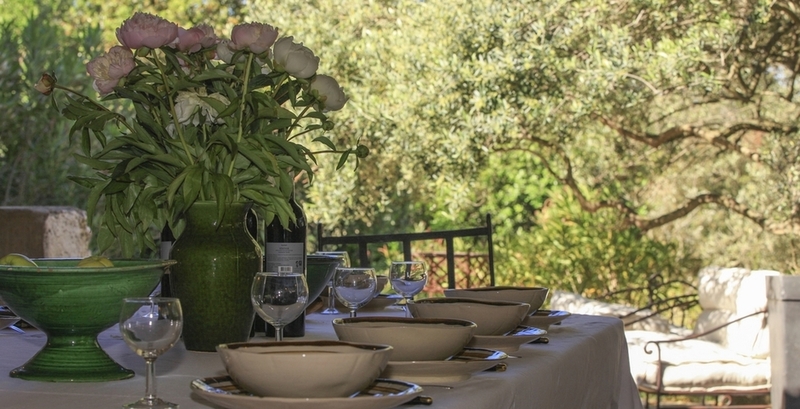 The fully equipped summer kitchen invites guests to relax with a drink late into the evening under the pergola covered with vines .Under umbrellas or shade of trees and palms, everyone can find relaxation area : on a lounger by the pool, in the solarium or in the gym which is ideally equipped. 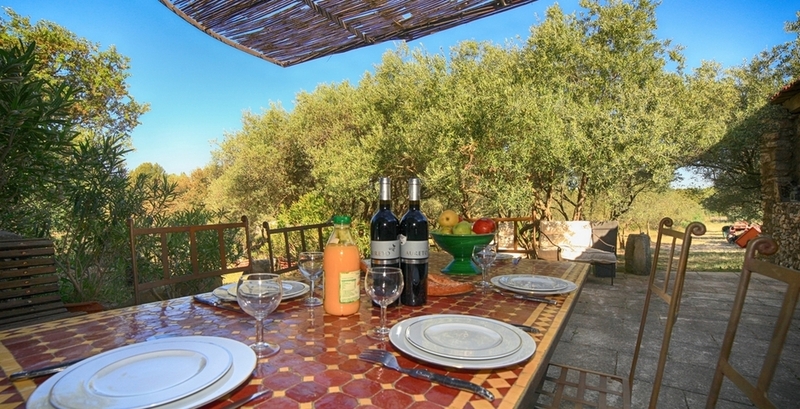 This is one of the few villas where the contract is signed directly with the owner of the villa. 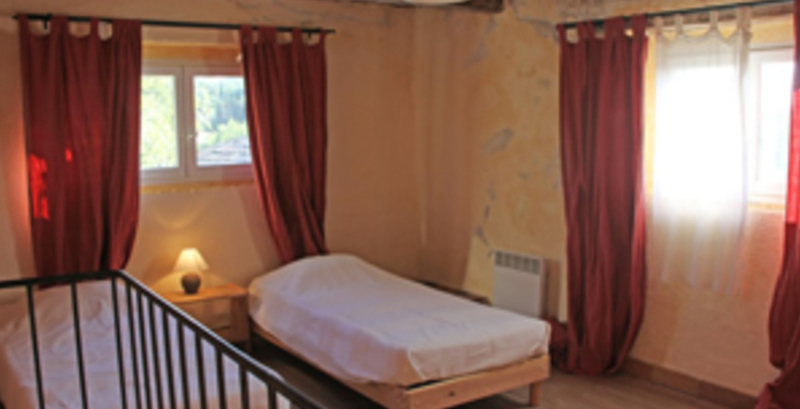 Once we confirm the availability for your request and you confirm the booking, we put you in contact with the owner and he will provide you with the rental contract to sign. 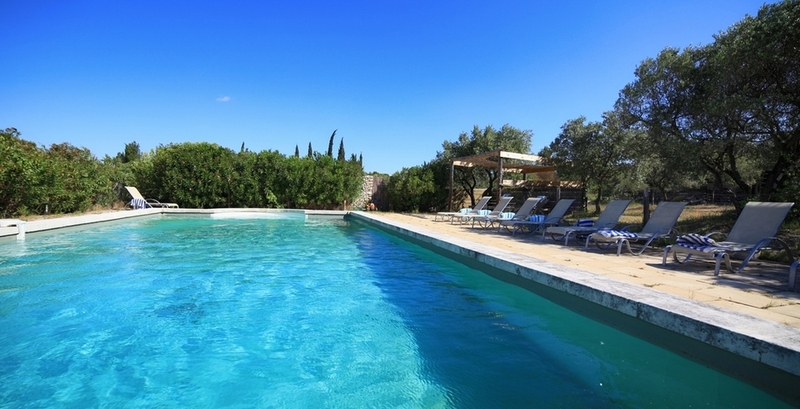 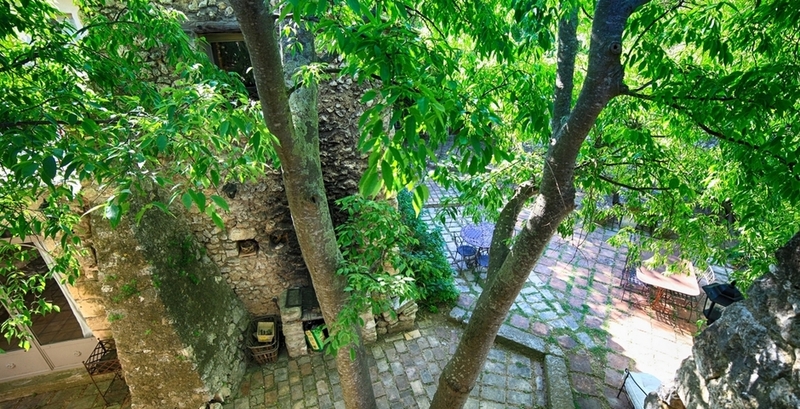 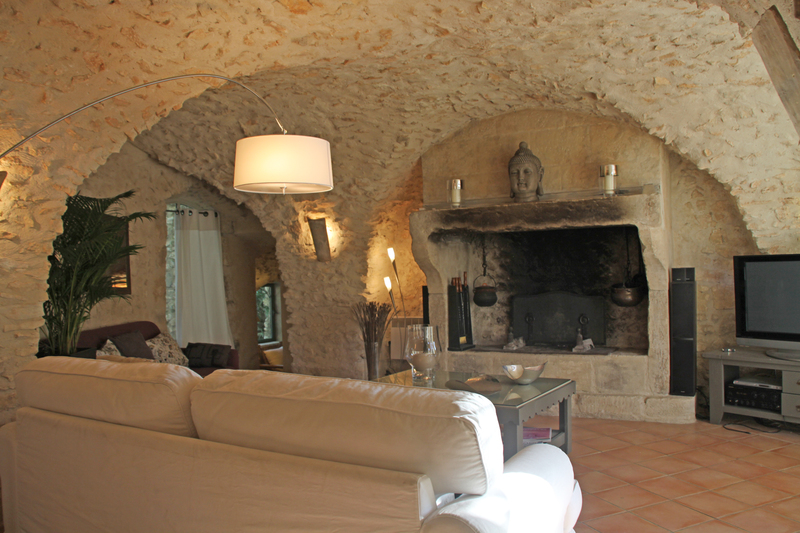 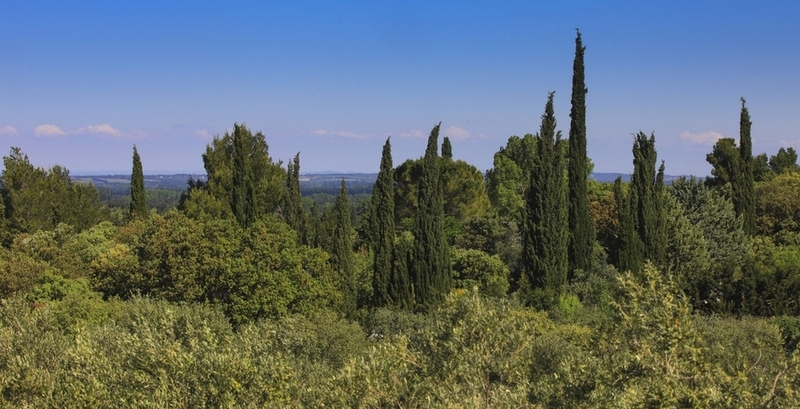 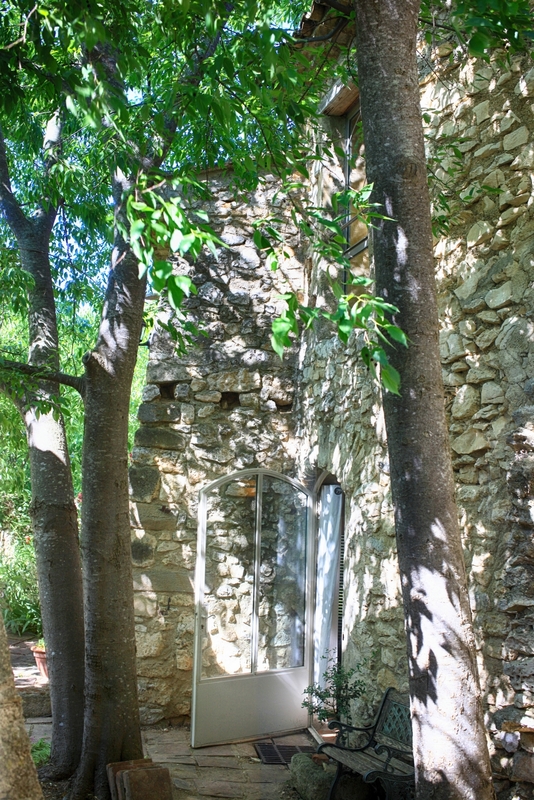 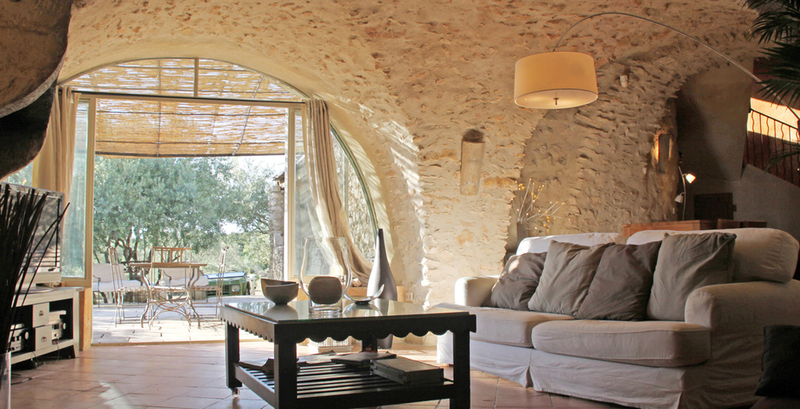 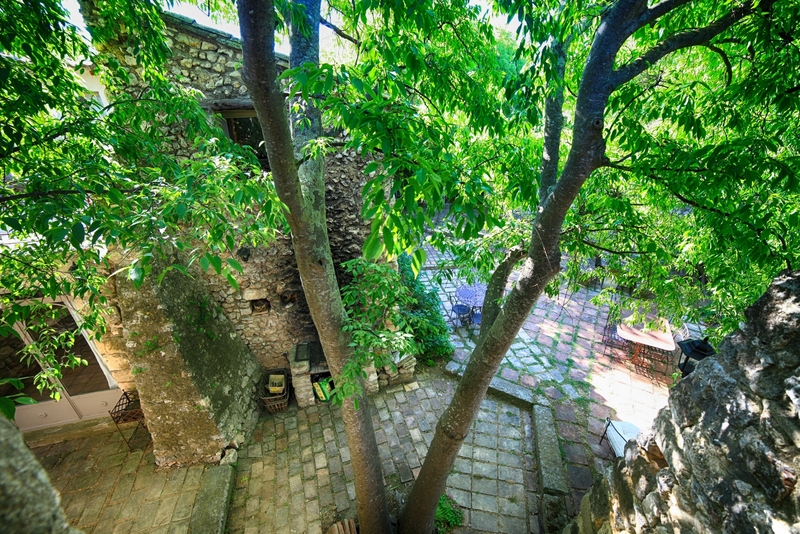 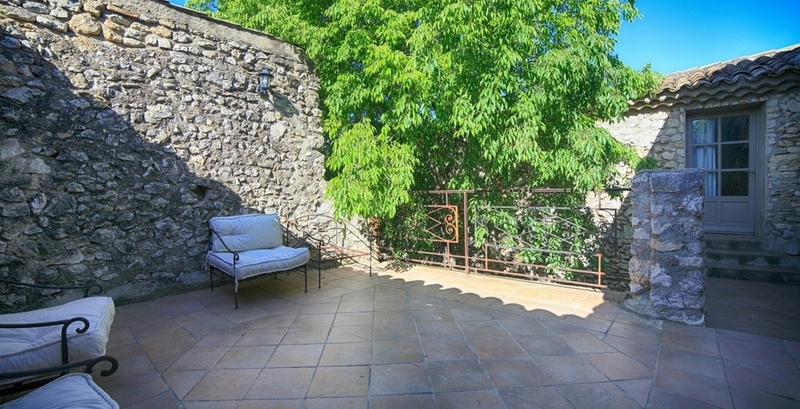 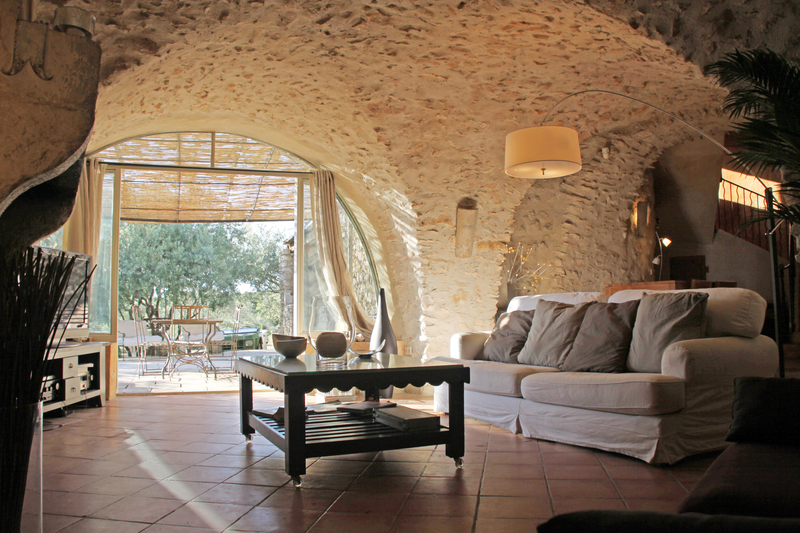 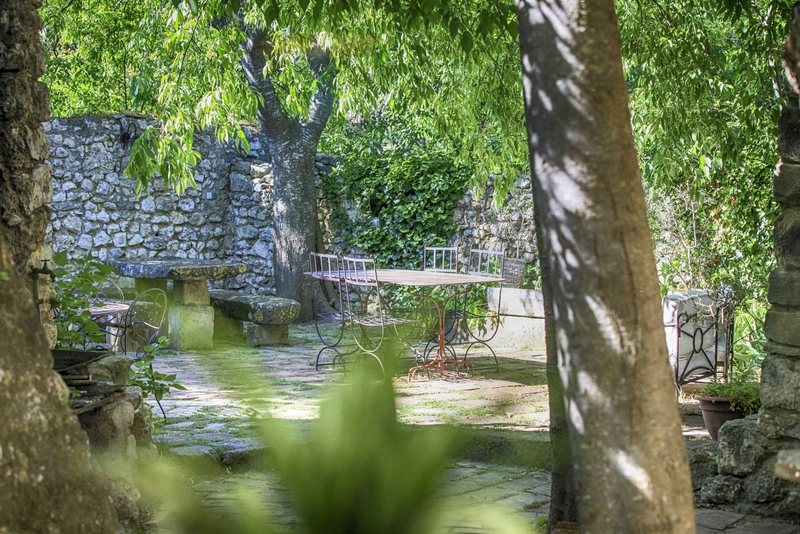 Incredible sight from this stone Provençal villa.